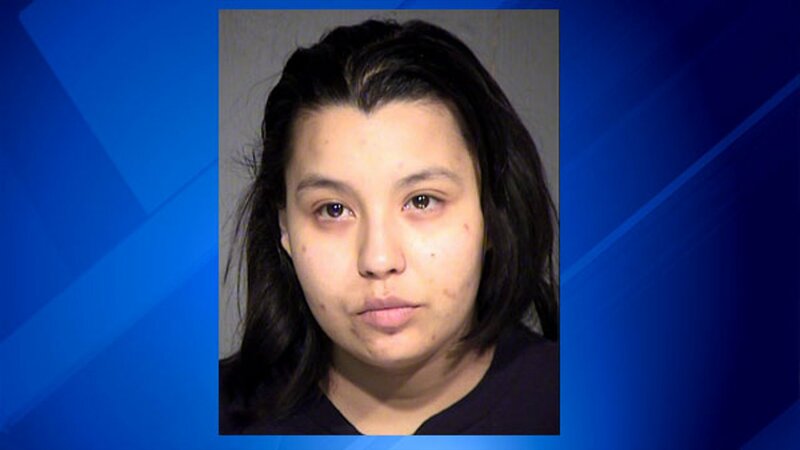 PHOENIX -- A Phoenix stepmother was arrested Monday for allegedly burning her stepson with hot water. According to court documents obtained by KPHO/KTVK, Sarah Alaniz placed the 2-year-old's hand in scalding water, causing deep partial tissue burns. The documents state that the incident took place on Aug. 15 when the boy's father arrived home and noticed blistering on his hand. Alaniz and the father took the boy to the hospital where he was treated for the burn. Police interviewed Alaniz at the hospital and she initially stated that she did not know how his hand became blistered. Alaniz later stated to police that she was washing the victim's hand because she saw a cut near his cuticle. Alaniz said she thought the water was just warm. Doctors at the hospital said the burn was caused either by his hand being immersed in hot water or placed under running hot water. The victim was transferred to the burn unit on Aug. 21 and Alaniz was interviewed again at the hospital. Police say Alaniz changed the details of her original story, saying the burn was probably caused by an electrical outlet or that maybe the boy placed his own hand under running hot water. Documents state that Alaniz denied ever seeing or hearing the water running or hearing the victim cry. Investigators then told Alaniz that the burn had to have been caused by hot water and she stated that she actually was washing the victim's hand and that he cried, saying it hurt. Alaniz went on to say that she didn't realize how hot the water was and that it was all an accident and she was just trying to wash the child's hand. Documents state that investigators obtained water temperature readings from the residence and the max temperature reached in the sink used was over 130 degrees. Alaniz is charged with one count of child abuse.